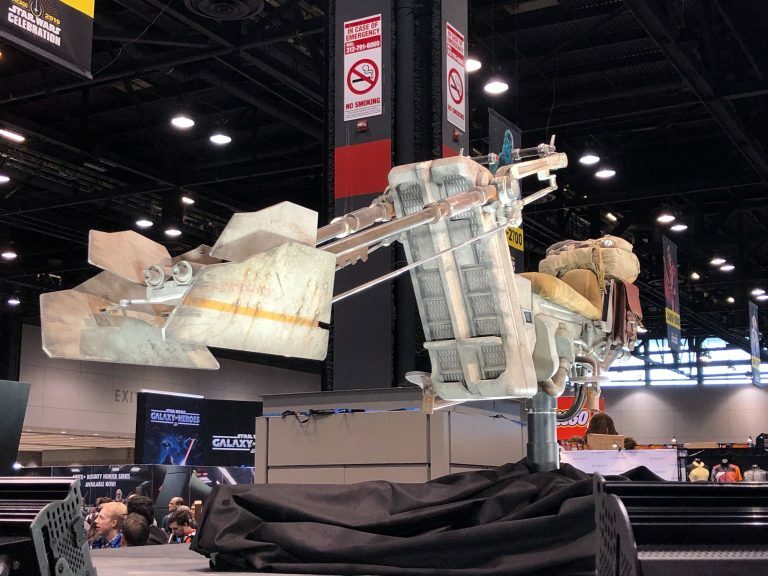 While the Star Wars Celebration panel for The Mandalorian isn’t until this Sunday, these last couple of days have already yielded a generous amount of material and info from the franchise’s first live-action TV series. 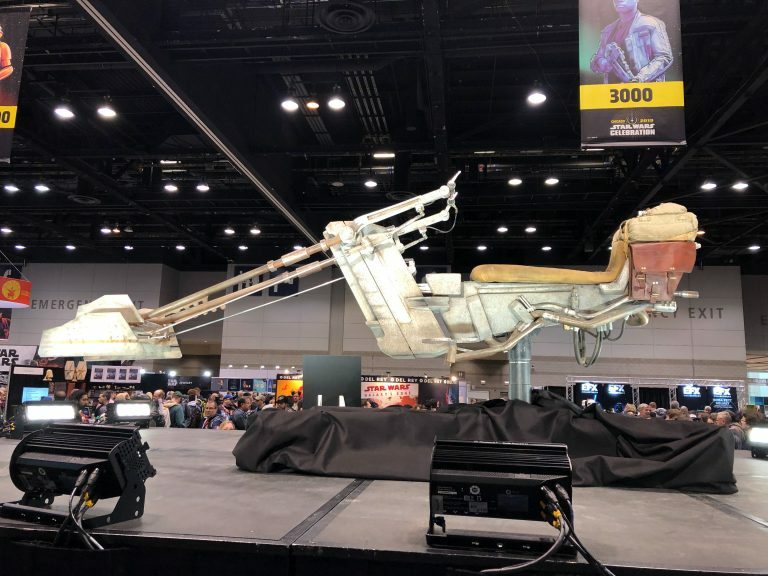 Yesterday’s Disney Plus event, for instance, unveiled the official logo from Jon Favreau’s show, while those in attendance got to see some footage of Pedro Pascal’s character and the world he inhabits. 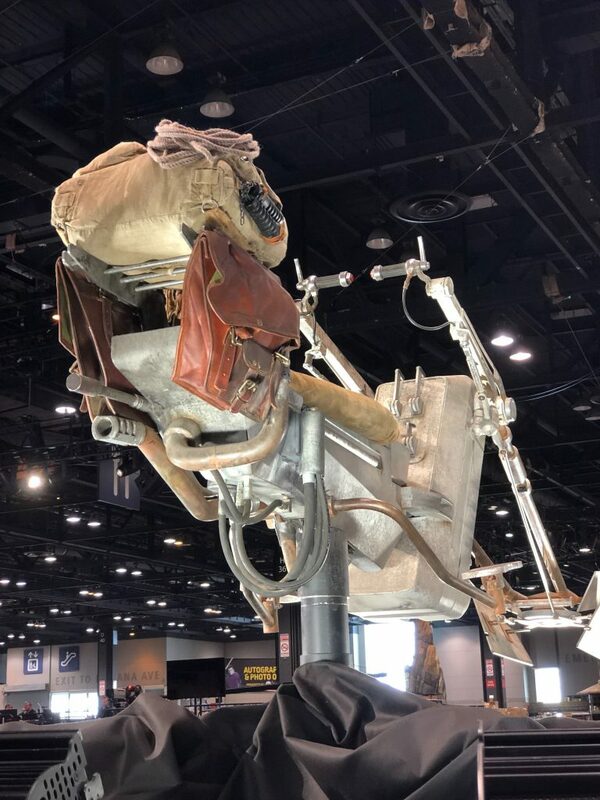 What’s more, over at this year’s Celebration, guests were able to see one of the props from the series up close. It sounds like whoever sits at the driver’s seat of this ride is a big fan of efficiency. For all we know, the bike could belong to the show’s titular gunfighter, though Pascal will also be joined by an impressive array of supporting players, including Gina Carano, Nick Nolte, Giancarlo Esposito, Carl Weathers and Werner Herzog. Thor: Ragnarok helmsman Taika Waititi even does a little voice work as famed bounty hunter IG-88, as well as directing one of the episodes. Though official plot details are in short supply, a report from last year alleged that Pascal’s character is sent on a mission to kill a child that he instead ends up saving. From here, it’s said that the series will focus on the pair’s evolving relationship and the Mandalorian’s efforts to protect the kid. Those claims are yet to be confirmed. But if we don’t receive some clarification by the end of this weekend, then we’ll at least know what Favreau has in store when The Mandalorian premieres on Disney Plus on November 12th, 2019.